In worship, the people of God recognize God as present in the world and in their lives. As we respond to God’s claim and redemptive action in Jesus, we are transformed and renewed – sent out in love and service to the world. We have one worship service that begins at 10:50 AM on Sundays. The service is structured with congregational hymns, prayers, and a sermon. There is an adult choir accompanied by either our outstanding Aeolian Skinner pipe organ or a keyboard. Special instrumentation is often used as well. Communion, or the Lord’s Supper, is celebrated on the first Sunday of every month. Special worship services are held throughout the year, including services on Ash Wednesday, Maundy Thursday, Good Friday, Easter “somewhat” sunrise service, and Christmas Eve. 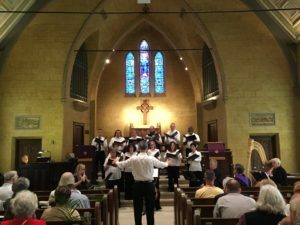 “Pie Jesu,” and “He Never Failed Me Yet,” and “A Mighty Fortress is Our God,” and maybe a Beatles song for good measure – is it really possible that I would hear all of that on a Sunday? Yes and No. 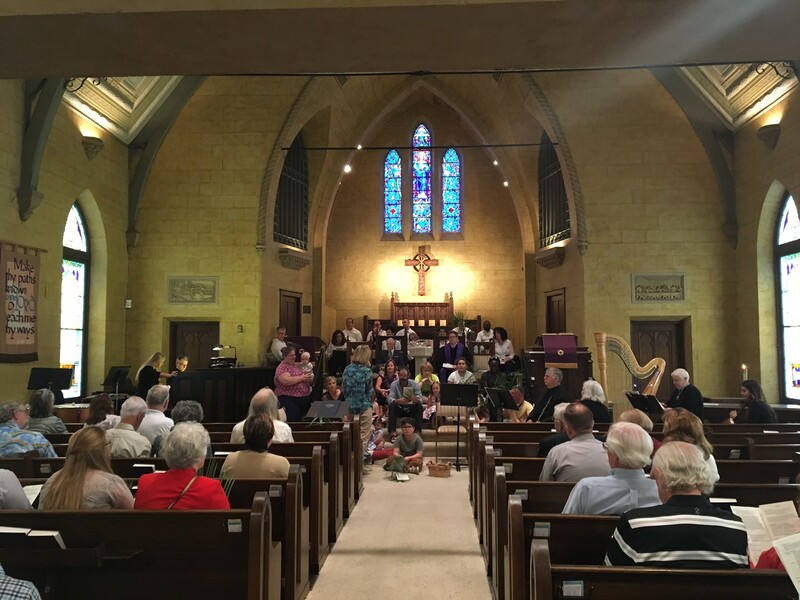 While no worship service can include that much diversity, it is absolutely that on any given Sunday you will hear traditional hymns, classical music, Taize chants, gospel choruses, or a re-purposed secular song given new meaning. 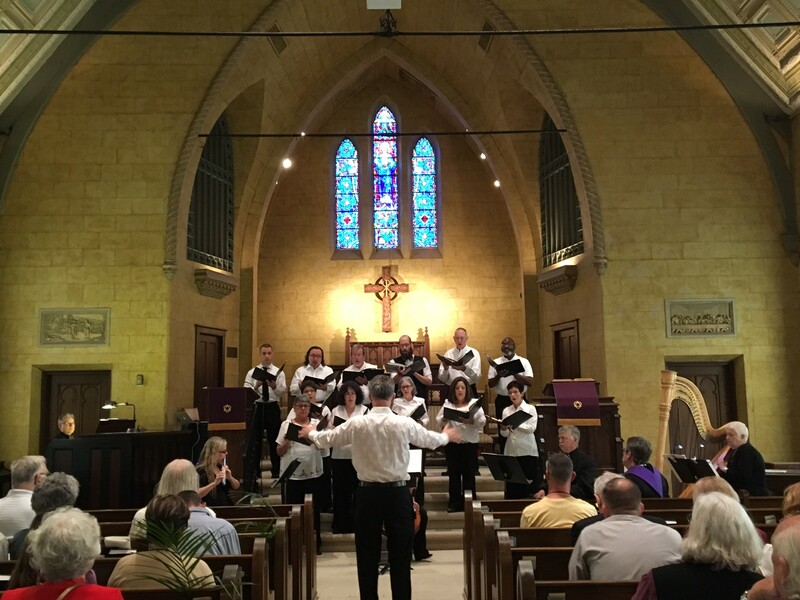 The choir rehearses on Wednesday evenings at 7:15 PM. The bell choir rehearses on Wednesday evenings at 6:15. Links to music coming soon! At Madison Square, children are encouraged to participate in worship in the sanctuary with their family members for as much of the service as the family would like. At Madison Square we believe that children should be seen and heard and participate fully in worship. Children participate by acting as acolytes bringing the light of Christ into and out of the sanctuary, ringing the bell in the bell tower, or acting as liturgists reading prayers and responsive readings. There is always nursery care available for our youngest kids. Also, children’s activity bags are available in the back of the Sanctuary. 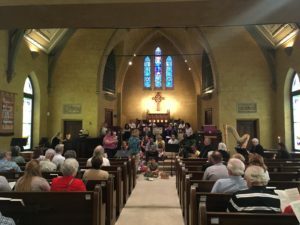 Grounded in the core values of inclusion and diversity and bearing witness to the unconditional love of God, Madison Square Presbyterian Church will become the home for worship, nurture, education, and social justice in downtown San Antonio.